The hunger for resources including timber keeps threatening wilderness not only in Europe. The forest war in Tasmania gets an interesting angle as Australia’s Prime Minister seems to fight alone for opening up a World Heritage site for logging trees. Tamanian Wilderness WH sites cover 1 million hectares. According to The Economist, the Austrialian PM, Tony Abbott’s speech on 4 March was nothing but a provoccative attack on protecting forests in Tasmania (and probably beyond). Mr. Abbott told a gathering of forest industry grandees in Canberra that Australia had quite enough national parks, and too much “locked-up forest”. For all of this, his real target was a deal known as the Tasmanian Forest Agreement signed two years ago between an unlikely coalition of environmentalists, logging companies and unions. 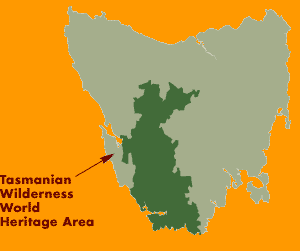 Forests cover about half of Tasmania, compared with 2% for Australia as a whole. Some of Tasmania’s “native” forests have been unlogged for up to a century; a few remain pristine. Australia is hosting the IUCN’s World Parks Congress in 2014, which is the largest gathering of conservation professionals across the globe in this year. Therefore environmental groups are closely watching the outcomes of the debate on Tasmania’s wilderness. But there is a much bigger concern in relation to the suggested logging operation. “”If the plan to open up a UNESCO World Heritage site goes ahead, it will be a disaster and dangerous precendence for any protected area beyond Australia” says Zoltan Kun, chairman of the European Wilderness Society. “Unfortunately there are logging and mining proposals threatening Europe’s last great places of wilderness as well. For instance the long debate on the future of Sumava as an IUCN category II National Park has not been closed satisfactory yet. There is also a mining proposal tabled in Finland which would be really close to Oulanka National Park likely badly affecting the current tourism-based local economy” adds Zoltan Kun. Thanks for finally talking about On the wrong side of nature: Logging trees in Tasmania – European Wilderness Society Loved it!